Giving birth is a profound and life changing event but it can sometimes feel overwhelming and even traumatic, physically and or emotionally. If you have negative feelings about your birth or your baby and the experiences at that time, you can consider either a private birth story session or attending a Birth Story workshop. In our culture, people say things like "but you have a healthy baby" and it minimises how women can feel shattered and traumatised after the experience. YOU matter and so does your story, even if the baby is okay. Sharing and processing your birth experience with an experienced birth story listener can help you change your story and your feelings about your birth, your baby, yourself and your experiences with motherhood. "After the sessions with you, I can face going into labour without that sinking feeling of terror"
"I cannot put into words how grateful I am to you for the role you played in my journey. Thank you so much for helping me to re-realise my inner strength and reasoning. You gave me the confidence to present my case to my Dr"
"Dearest Sally, as I stare down at my one day old baby boy I can honestly say....We had the most beautiful birth. It was a 'natural' and gentle Caesar where I felt deeply connected to myself and my baby boy. Thank you. You prepared me perfectly for my birth and I am forever grateful. You are truly remarkable at what you do and I feel privileged to have shared this journey with you." "The best thing that could have happened (after the birth of my son) was to find Sally's website and bring myself to book a private session with her. More healing took place in one session with her than in the numerous months and attempts before. The difference it makes to tell your story to the right person and let it fall on ears that want to listen and understand is worth so so much. Thank you Sally for making me trust that my feelings and desires matter. I am now a witness to knowing that although a healthy baby is most important, that an emotionally healthy mommy makes the world of difference." In this group, your experience will be heard with empathy, compassion and understanding. No judgments will be made. 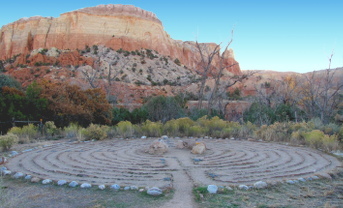 During our three hours together you will explore your birth experience in great detail from a totally new angle, using an ancient birth labyrinth. This facilitated process will allow you to find new ways of understanding your birth experience. New understanding and new meaning will allow healing, relief and release. You will also learn about the phases of loss attached to a difficult birth experience as well as the Birth Story Gates as developed by Pam England. This workshop will help you process that experience and you will gain a new knowing about yourself. Contact Sally to book private sessions or to join a birth story workshop. ICAN - International Ceaserean Awareness Network. Post Partum Progress From a mother who has recouperated from post natal distress. Little Steps - resources for parents and professionals working with premature babies born in South Africa. Kangaroo Mother Care, Dr Bergman gives scientific evidence to promote the spread and implementation of Kangaroo Mother Care along with Jill Bergman for all infants.